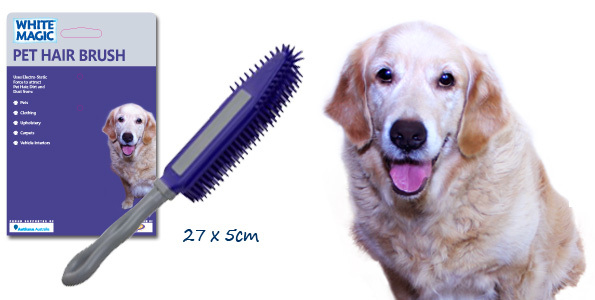 Have you ever thought of buying pet hair broom? Here's the ultimate broom to sweep up Pet Hair on every floor type in the home from White Magic. 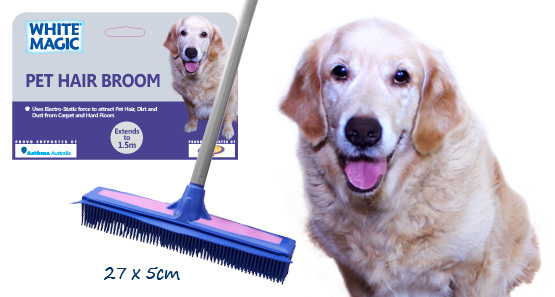 This best broom for pet hair works on carpet, to hard flooring and can be even used wet to scrub and wipe away wet messes. 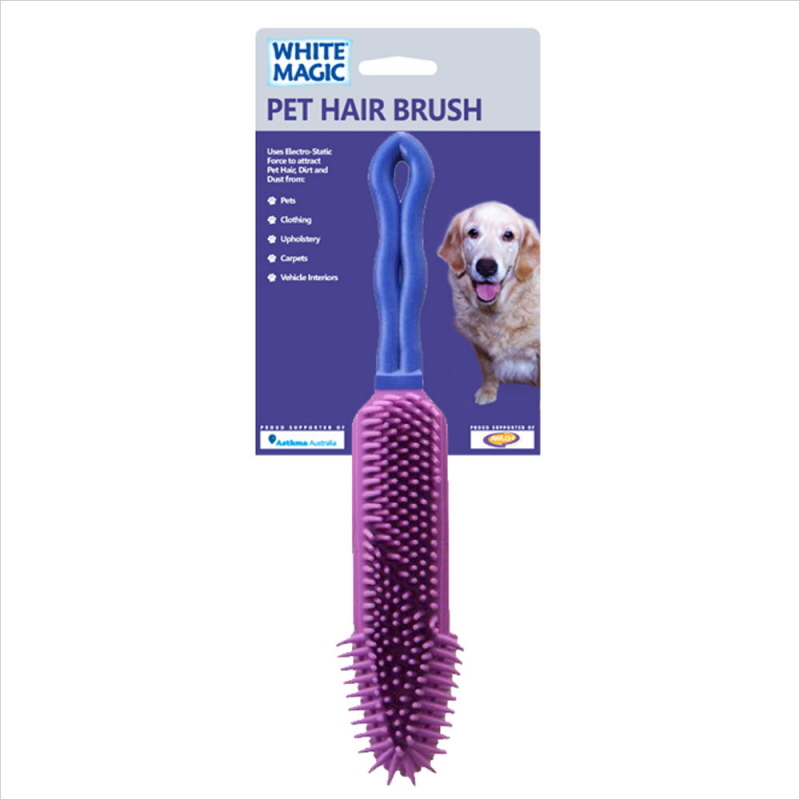 This pet hair removal brush is made from natural rubber, it is ideal to use on pets, clothing, upholstery, carpets and vehicle interiors. 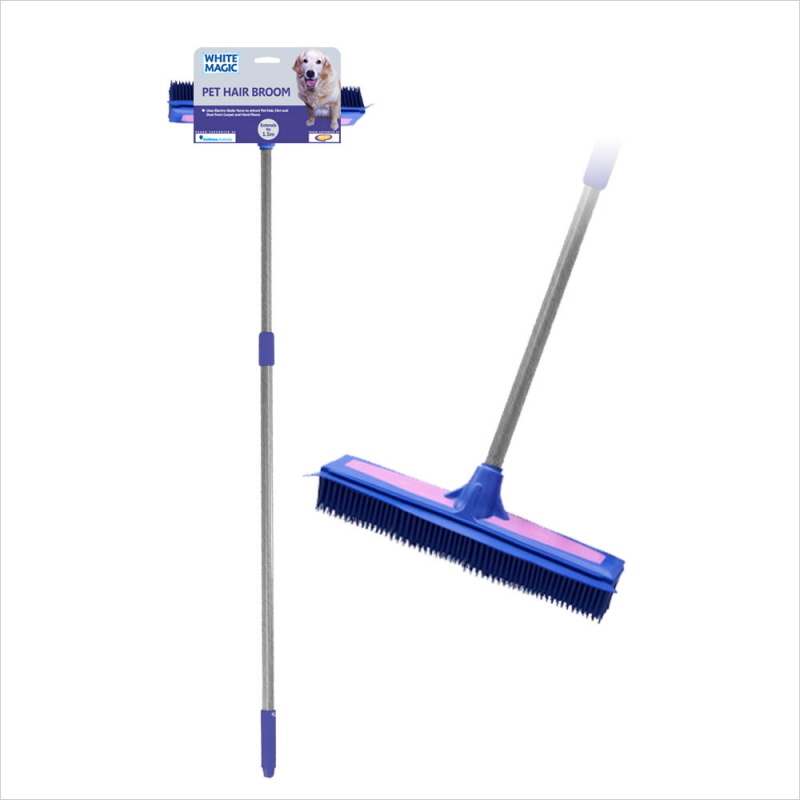 The shape, orientation of bristles and longer handle make cleaning corners and tough to reach spaces easier. This best dog hair removal brush is durable and easy to clean. The Rubber Bristles dig deep into the surface to build up an electrostatic charge that attracts and catches hair, dust and dirt. The unique shaped head is designed to clean into any shaped corner or tight spaces. The Handle is washable in warm soapy water.